The house for Architectural Heritage is a centre that houses the archival collection of sketches and drawings by the architect John Yarwood, as well as serving as an exhibition space dedicated to architecture. John Yarwood resided in the city of Muharraq between 1983 and 1985, while he was serving at the Head of the Urban Renewal Department at the Ministry of Housing and fell in love with the city. His affection for exploration and documentation found an excellent opportunity in the abundant architectural heritage of the city. Today, his hand drawn sketches and drawings as well as his photographs remain one of the most extensive sources of documentation on the architectural heritage of Muharraq of which unfortunately much has been destroyed since the 1980s. The project is conceived as a beam structure that frames the existing adjacent walls of the two neighbouring buildings serving as a showcase for the architectural heritage of the city, the old as well as the new. 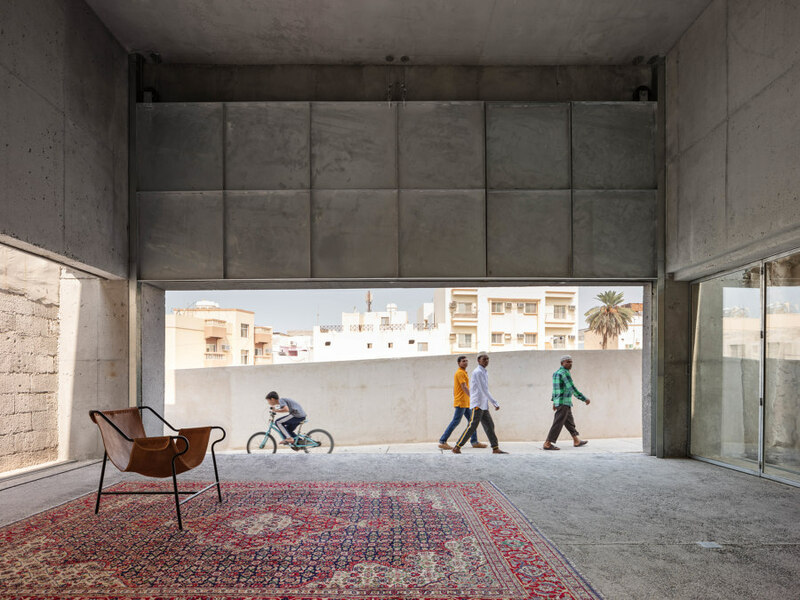 The building is an intrinsic expression of the urban condition of the plot, offering an x-ray view into the urban form of the city, revealing the different phases of construction that the city has witnessed, from coral stone to block work walls. The inner glass facades can be completely opened, uniting the exhibition space with the exhibition content of the surrounding walls. The archival documents of John Yarwood are exhibited and stored on a mezzanine level alongside a small architecture library, within the height of the concrete beam protected from direct sunlight. 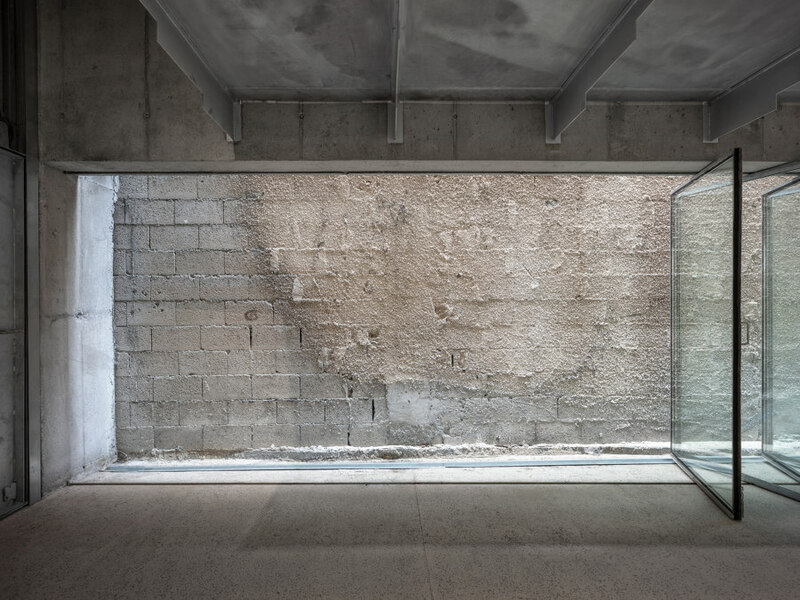 The two main facades contain two sliding doors that can be lifted within the height of the beam, completely opening the exhibition space to the streets, and transforming the building into a public passage. The exhibition space becomes one with the street encouraging more public participation and interaction. 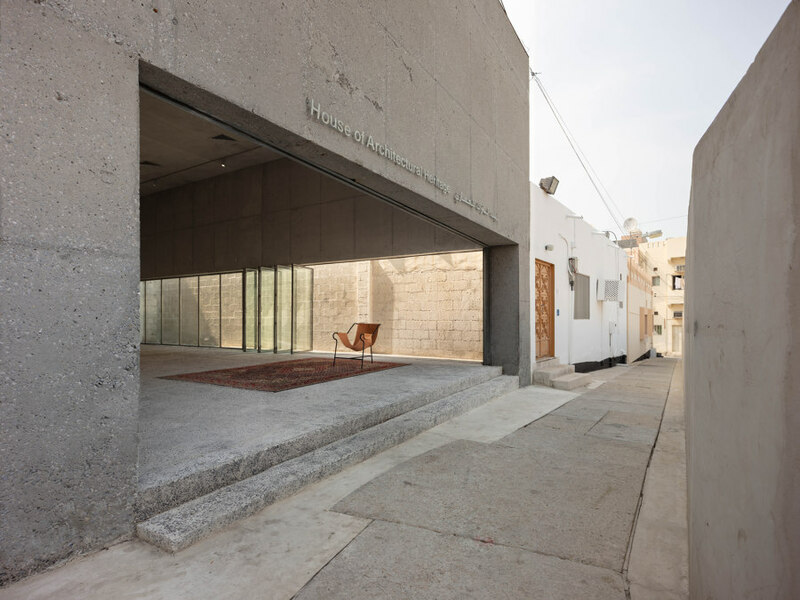 The project was commissioned by the Shaikh Ebrahim Centre for Culture & Research, a NGO established in 2002 in Muharraq Bahrain by Shaikha Mai bint Mohammed Al Khalifa. The centre has been at the forefront of the conservation of traditional houses in Muharraq and in Bahrain in general, and to date has renovated and conserved more than 15 traditional buildings. Alongside the conservation work, the centre is an active player in the cultural field in Bahrain organizing weekly talks by intellectual, writers, poets and journalists from across the Arab World. 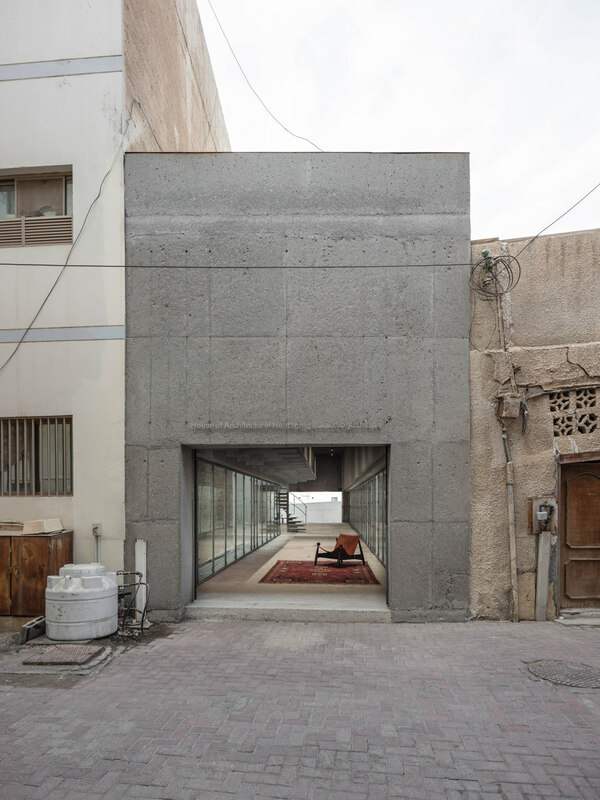 The commission for the House for Architectural Heritage came out of a desire to build a permanent home for the archives of John Yarwood, an architect that had lived in Muharraq in the 1980s and had extensively documented and surveyed its architectural heritage. 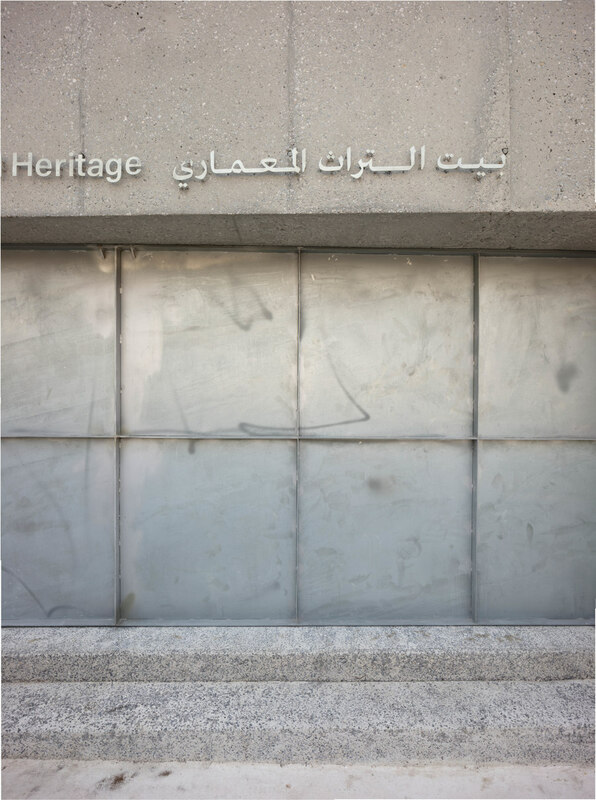 The land that was identified for the project was a narrow and empty strip of land, adjacent to the Abdullah Al Zayed House for Press Heritage, another building belonging to the Shaikh Ebrahim Centre that had been earlier restored. The centre had originally thought to rebuild a house in the traditional manner but after a chance conversation with the architects (Noura Al Sayeh Holtrop and Leopold Banchini) it was agreed that for a house that needed to show and represent the architectural heritage of Muharraq, it would be better suited to build a project that would represent this through its contemporary architectural expression and not through a rebuilding of the old with modern materials. 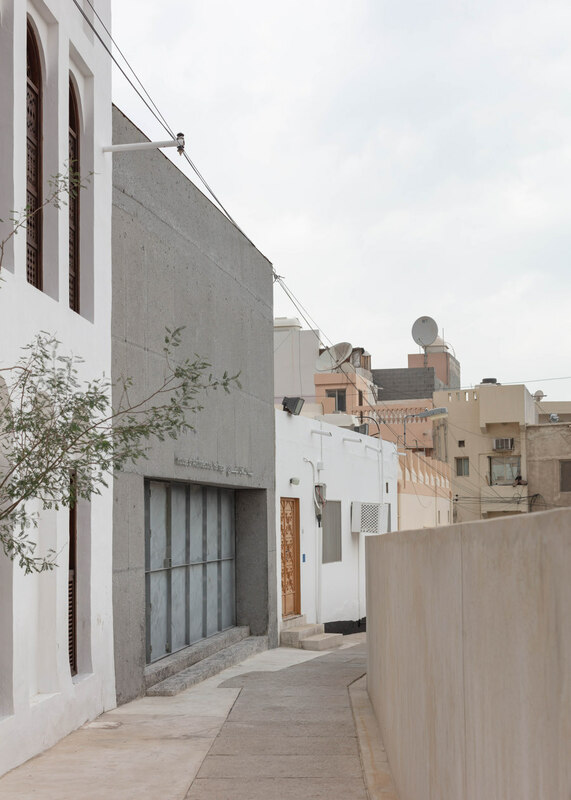 The brief for the building was simple, it needed to host and display the archives of John Yarwood, include a small architecture library, showcase the architecture of Muharraq and provide a small exhibition space. The project was implemented as per the first initial sketch and later development drawings, and is actively used as an exhibition space for architecture in the city. To date it has hosted three different exhibitions since its opening more than a year ago. The inaugural exhibition was of sketches of John Yarwood of houses that had since been demolished, the second exhibition focused on the Falaj, the water systems of the Gulf and the third entitled, Casting and Cutting, was by the Bahrain-based architecture office Studio Anne Holtrop. Future exhibitions include a survey of social housing typologies in Bahrain, and a show of architectural drawings by the Japanese architecture firm Atelier Bow-Wow who have also worked in Muharraq. The building is built in reinforced concrete, with a beam that spans the 26m width of the plot, linking both sides of the street. 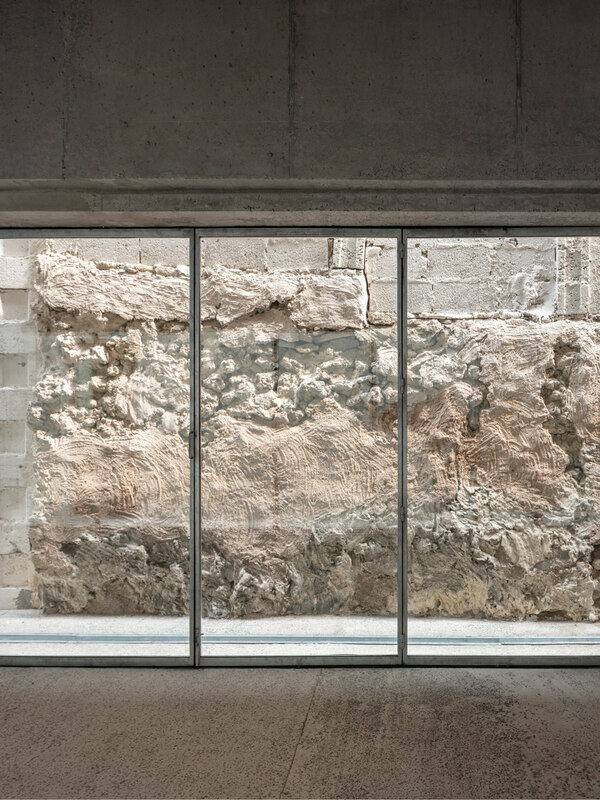 The reinforced concrete is juxtaposed to the other building materials of the city, coral stone, coral stone rubble, block work that are also left in their bare state. 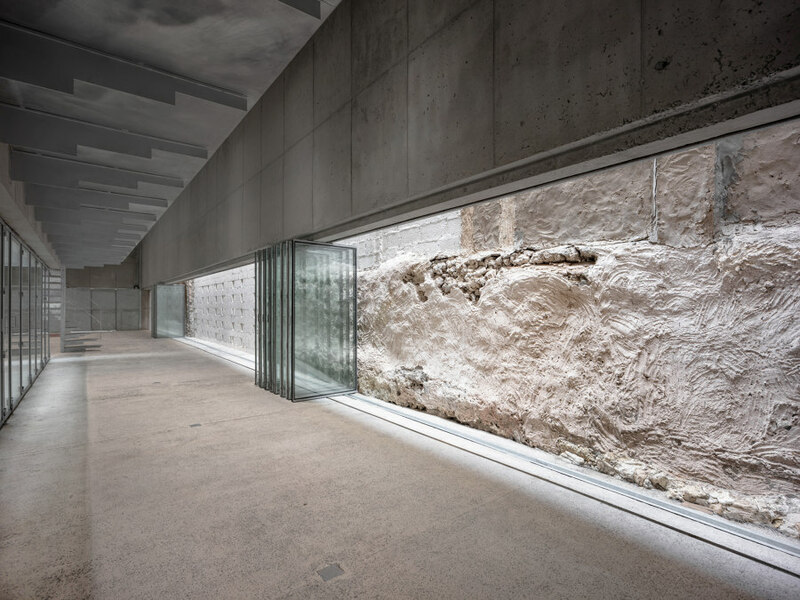 The existing walls have been painted in a thin layer of lime wash that unites the different existing walls of the adjacent buildings in a similar colour while retaining the different material expression of each one, rendering a coherent space within the inside of the building. The lime wash refers to the last layer that was traditionally applied to the plaster walls. 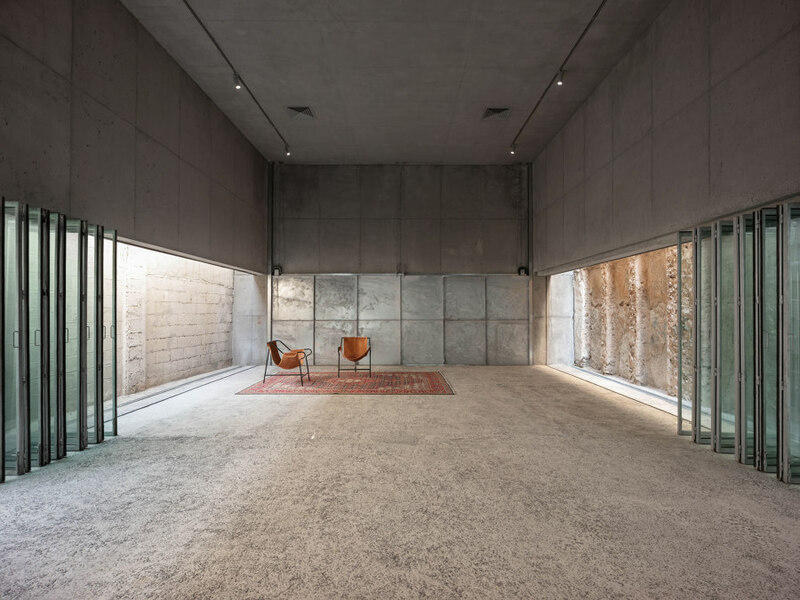 The concrete structure is thermally insulated, while the internal space is shielded from direct sunlight, considerably reducing the need for cooling. In the warmer months, the foldable doors are kept closed and the building is thermally insulated from the warm climate. In the cooler months, the windows are kept open and the building can therefore be naturally ventilated in a transversal manner. The foldable glass internal facade of the building was made locally by a small steel workshop that manually welded all the steel framework. 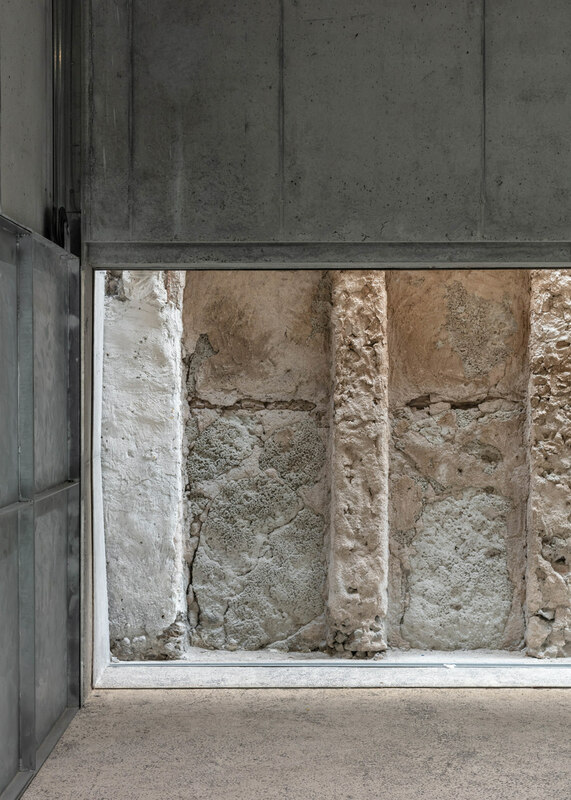 The rhythm of these small foldable windows, relates to the dimensions of 0,9m to 1,10 m found in the traditional coral stone buildings of Muharraq and that are defined by the span of the coral stone slabs used to infill between the coral stone columns. 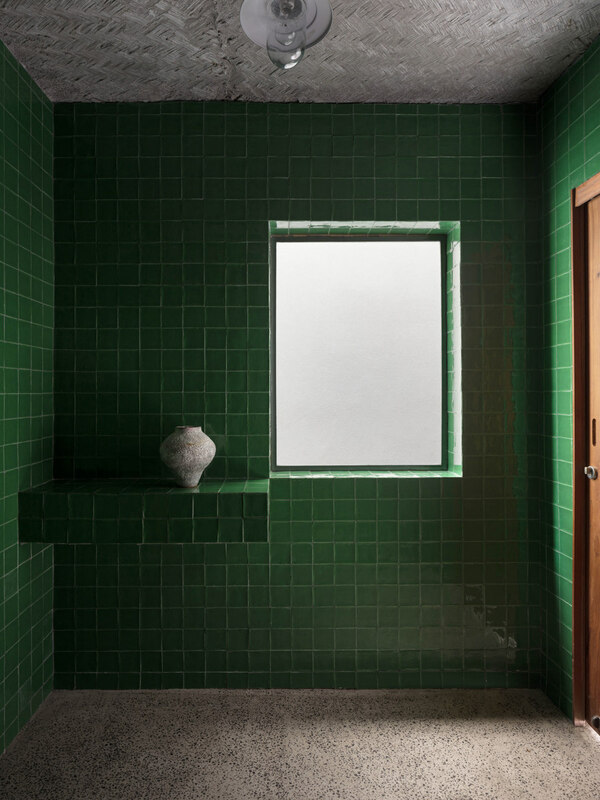 In this sense, the materials, although contemporary, relate in an intrinsic manner to the proportions and dimensions of the traditional buildings of the city. 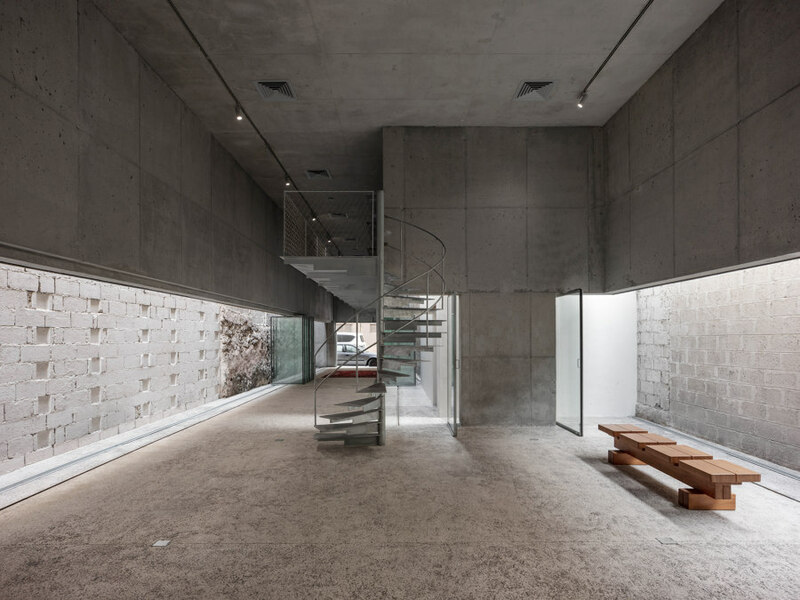 The delicacy of this internal facade contrasts to the bold gesture of the main concrete structure of the city that relates to the urban scale of the city, more specifically to the span of a typical urban block. The project addresses through its architectural conception the challenges of creating exhibition and cultural spaces that hold a more participatory approach to local communities. By providing a space that can be completely opened on to the streets, in a neighbourhood that houses communities that often feel excluded from cultural events, the project attempts to provide a new more inclusive exhibition typology. 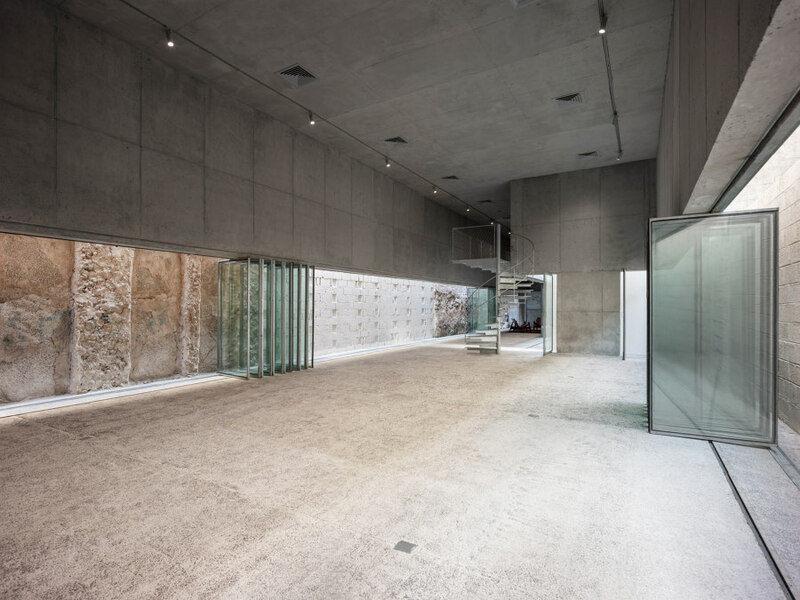 By carefully inserting itself within a tight urban fabric, conserving the "found" state of the inner walls of the adjacent buildings, the project freezes an urban condition that is often transient within the fast pace of development in the city. 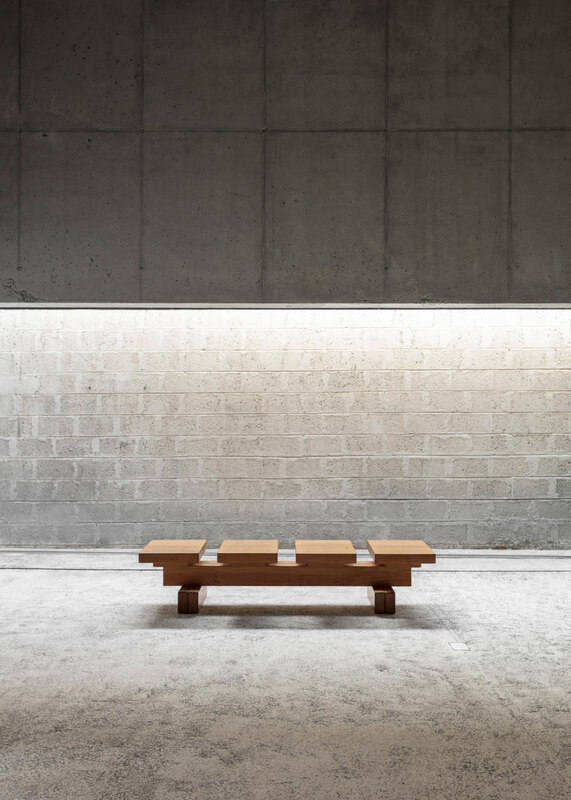 It offers a small respite into the mass of the urban fabric through an open plan space of silence within the city. As one of the only dedicates spaces of exhibition and debate around architecture, the project has been very well received and visited both by the local community and local and regional architecture practitioners and students. The architects have also been involved in the programming of the exhibitions and talks and have been grateful to have the opportunity to program the space in the way it was intended to be used.